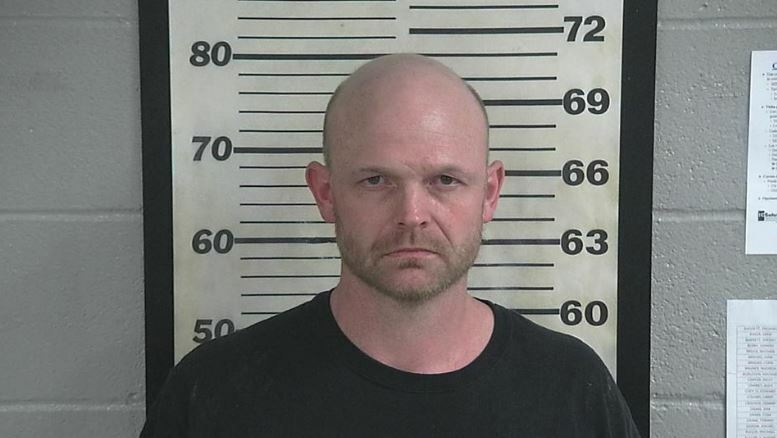 CULLMAN COUNTY — Deputies from Cullman County have arrested a man on a number of charges including arson, assault, burglary and resisting arrest. Officials said that late on Friday night, the Cullman County Sheriff’s Office received a call from the local fire department that a field was on fire at the intersection of County Road 8 and County Road 35. When the firefighters responded a person, later identified as 36-year-old Matthew Eli Aaron, of Bremen, he refused to allow them to extinguish the fire. Aaron also threatened several of the firefighters. As deputies arrived, Aaron left the area of the field and had threatened several other residents that came to assist the firefighters. Deputies began to search for Aaron and discovered that he had left the immediate area and had burglarized and broke into several homes in the area of County Road 8 and County Road 35. As deputies were speaking with one homeowner that just had their home damaged by Aaron, they noticed fire and smoke coming from another residence nearby, law enforcement said. Deputies responded and saw the house was on fire. Deputies then made entry into the home to make sure no one was inside the residence, officials reported. As deputies made their way to the back side of the residence, they located Aaron inside a screened-in porch. After coming into contact with the deputies, Aaron discarded the firearm he had in his possession, but he did not follow any other lawful orders, and began to assault the deputies and investigators. After several minutes of resisting arrest and assaulting the deputies, Aaron was handcuffed and transported to the Cullman County Detention Center, according to authorities. Authorities reported that after arriving at the detention center, he still resisted lawful orders by law enforcement and attempted to assault deputies and detention deputies, as well as officers with the Cullman Police Department. Aaron has been charged with second degree arson, two counts of second-degree assault, third degree burglary and resisting arrest. There will be additional charges added in the days to come.